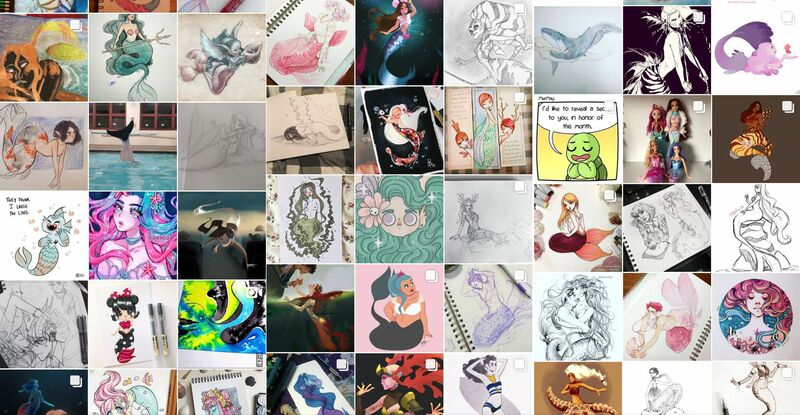 If you have an Instagram account, you might have noticed a rising tide of mermaids in your feed lately... Well, it's May, and the annual Mer-May Challenge is here, so like other predominant artists online, I decided to dip my feet in the water (warning: more puns ahead :). The idea is to draw mermaids and upload them using the hashtags #mermay or #mermay2018. 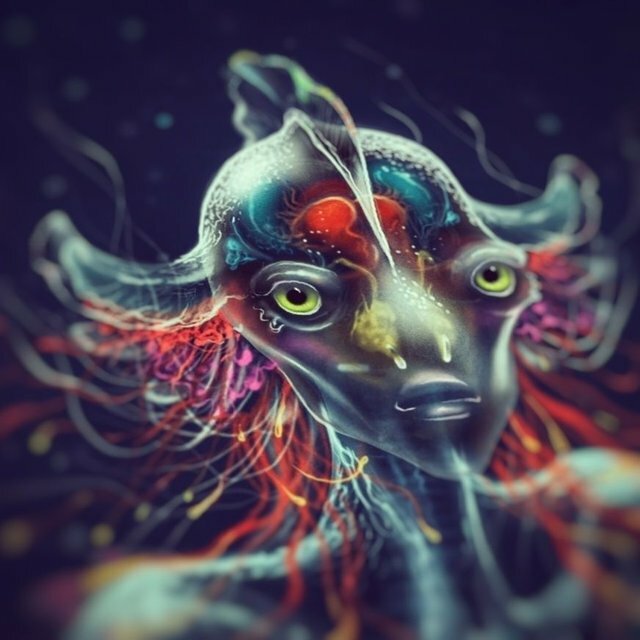 Some artists make as many as one mermaid illustration a day for the duration of the month, and others try to do their best with one original concept in hope to brake the internet. Though there are pages and pages of spectacular renditions of mermaids, there is one kind that I haven't seen pop to the surface - The deep ocean dwelling luminescent invertebrates. As I gathered some images to reference colors and textures, I found so many amazing creatures, that it was hard to decide which elements to include in my sketch and which to omit. Some had rainbow-like illumination, others had vibrant organs that are visible through the sleek translucent membrane, some had fins and others have long tentacles... possibilities, endless! Fun fact: The chemicals that cause these creatures to glow are known as luciferin and luciferase . These two chemicals, when mixed in the presence of oxygen, produce light. This helps the creatures to deter other predators, to attract mates and to communicate among each others. I made a few sketches of the king of character that I had in mind... I only made a few because I already had a pretty clear vision of what I wanted to draw, but I didn't want to blank out on some unforeseen detail... Initially I had a more monster, Zoidberg-like idea, but I decided to leave it for another time. Here comes the process: From a light sketch on a dark background, to building details, layer by layer, until I was happy with the results. I got to admit that I was a bit unsure about the shape of the maid's hands, so I decided to leave them outside the cropping area. The part I enjoyed most was to come up with colorful organs inside the translucent body of the mermaid. After the illustration was complete, its was time for some finalizing effects: I blurred some of the details to create a sense of depth and focus, and then applied some color filters to unify the image. The final rendition is a result of a warmer color overlay and a slight dulling of the colors. 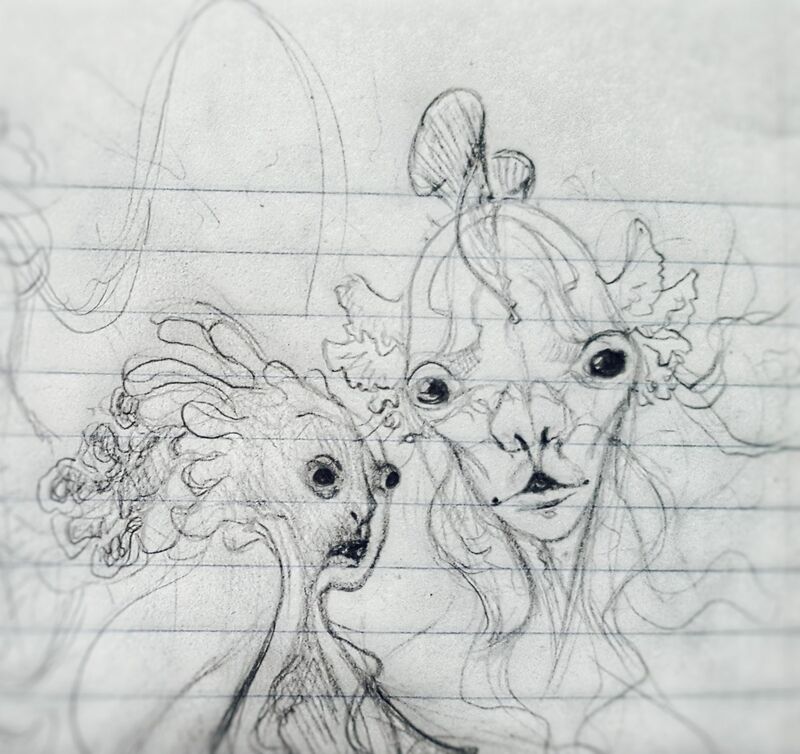 Thank you reader for diving into this little art exploration, I hope that artists leave my post inspired to make their own renditions mermaids. May is still here, and the Mer-May challenge continues, so may your creativity glow like the Comb Jellyfish! thank you @joxus, i just put you on my Ginabot as well, since i've missed so many of your incredible art posts. Phantasmic work @ankapolo! Really love this piece! The translucent body with visible organs is way cool! The animated gif is also dope! Excellent work! I enjoy watching the animation, I find it very cute that little by little, she glows brighter in the process of the creation :). Thank you so much @scrawly! ❤️I'm enjoying browsing through your art too! Thank you so much @yidneth! Yes, I love the movie Abyss, and your lyrics capture it perfectly! and i'm a bit surprised how little of this theme is present these days - its like an underwater Avatar world :) there is so much potential! I'd love to see your illustrations of mermaids as well! its the perfect time to share them! Thank you so Spidy! Btw im harakiri-level embarassed... all this time i was posting my own work in the "curation-station" thinking that that's what it was for... and only today realized that this channel is for promoting others. Gomenasai!!!! I have never heard of the MerMay challenge but this is so cool! Mermaids are incredible mythological creatures that are showcased in so many stories. I love the translucence of this beauty. You did a wonderful job of bringing her to life. Thank you for sharing her with us! Yeah its the first time i'm hearing about the MerMay challenge as well, a friend of mine pointed it out, and then i noticed all the mermaids that people are drawing on art forums. I like the dark rendition that you have done here, sometimes darker is just better! It's nice to showcase the other side of characters for once because most artists don't. Well for not hearing about this challenge before you have done it justice with your mermaid beauty. Great job! Woah, thank you for the compliment! There are so amazing works out there, but theme wise I think I succeeded to stand out from the conventional mermaids. I might give it another try before the end of the month. Anka! This is so amazing! I love how you not only showed us your stunning works but also gave us the process and the history behind it. ❤️❤️❤️ I’m floored by your talent! 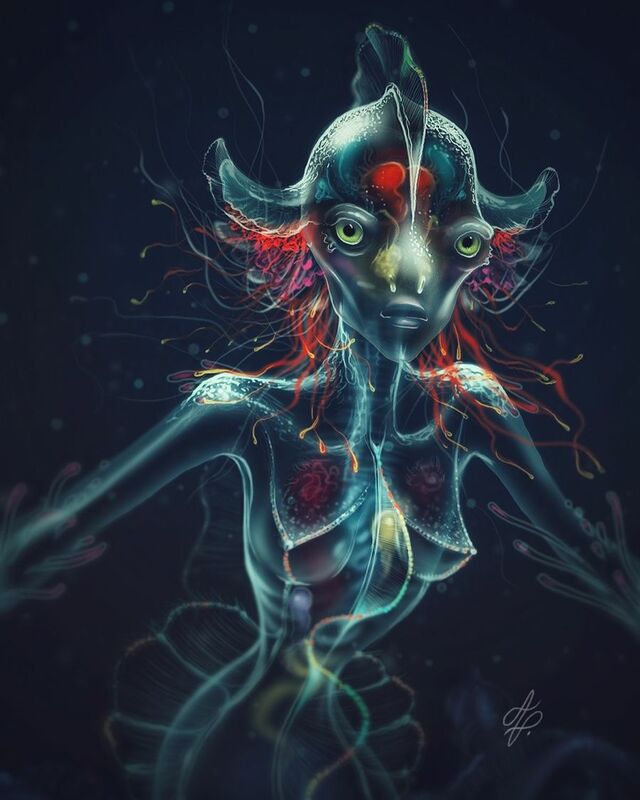 This is very unique and stands out from other mermaids! hi @TimMolloy, thank you so much! I was visiting your page and wow! our work blows my mind! your imagination and the details are just stunning! Following big time! Thanks very much! Nice to meet you! thank you so much @melooo182! I'm delighted and honored to be on your list for curation. Amazing art... By the way can i know how a long time you start drawing?